Calling all tennis enthusiasts or land lovers! 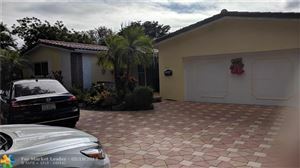 This house features two state of the art tennis courts with all the upgrades you need. This home boasts 2.5 acres of land with plenty of room to incorporate horses, park a boat or RV or enjoy the view. 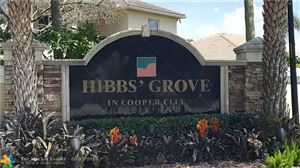 One of the only sections in Cooper City with acreage and no hoa! Brand new roof, new impact windows, and doors, new AC, new water heater, totally upgraded house including a HUGE master bath shower. Come and enjoy A rated schools and true family living. 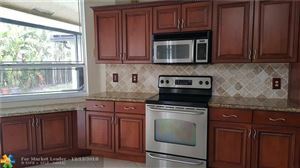 Bright, spacious, IMMACULATE home is move-in ready, 2 new sets french doors, Counter Granit in kitchen + more! Island & breakfast bar in kitchen. FR wired for surround sound. MBR has walk-in & full length closets. Pool/waterfall under lrg. screened patio w/ lots of room to entertain. Cabana bath has both tub & separate shower. Quaint fenced yard on CANAL LOT. Includes Generator/Transf. Swtch. 24-hour guard gated comm, "A" schools. Positively GORGEOUS home. Well LOVED by original owners. Beauty is everywhere you look. Well done decorator touches, finishes, paint colors and details. Master suite and bath is so tasteful and inviting. The floor plan has a 4 way split bedrooms to accommodate your entire life style. Need a place for Grandma? This home gives you that. An office? This home gives you that as well. Spacious kitchen family room area with builtin breakfast booth. Family room has built in's for your TV and equipment. HEATED POOL, overlooking a sparkling lake. Patio area is roof covered for outdoor barbecuing in the rain! Open the house to the patio, it's screened to enjoy the easterly breezes. New Hurricane windows front and back, pull together shutters on remaining windows. This remarkable home has it all! Spacious Windsor Model. Freshly painted exterior, super clean and bright! Well cared for home original owners! Newer master bath and cabana bath, granite kitchen with island. Split bedrooms. 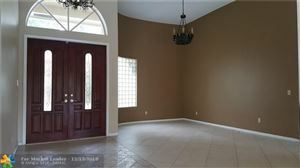 Fabulous Kitchen/Family room/ breakfast room for entertaining! Very livable home and a very popular model and floor plan! Located in WONDERFUL COUNTRY GLEN. Close to I75 and 595 for easy access to everywhere! Gated secure and friendly neighborhood! Come see your next home!
" 52nst Street " The Tunnel of Trees " - 3 bed / 2 bath + In-law Suite - 1 bed / 1 bath (shower ) + kitchen + Den (City permits + licensed contractors ) . Lush landscaping and lighting by Designer " Louie, Inc. " Sprinklers - Pool with Marble Deck. Diamond Brite - 2 years. Covered Patio - Pavers in Driveway / Waterfalls / Lush Landscaping entire property. Roof 8 years/ A/C 5 years. Impact windows and doors. Lot 85x100 No Zero Lot Line !!! - Lots of Trees and Land...Lawn mower required :) A Rated Schools! - Motivated Owner ...Show and Sell! Welcome home, your mediterranean style home in Embassy Lakes is waiting for you. Your new home has 4 bedrooms and 2 -+ bathrooms with a pool. Some custom features include a tall 8' front doors, vaulted ceilings with hi-hat lighting. Your community offers a 24 hour manned guard gate, with an olympic styled heated pool, clubhouse, playgrounds, sports courts, fitness center, tennis courts, sauna & more all in a charming community of beautiful and diverse architectural designs in a magnificently landscaped multi-lake setting. Welcome home to this 3/2 waterfront, pool home in sought after Flamingo Gardens! Looking for extra room? This house has it!! This 1-story home features: family room plus bonus room (used as an office) off the kitchen, updated kitchen w/SS appliances, glass backsplash, granite counters, walk in closets, updated master bath, accordion shutters, covered patio, built in grill and fenced yard. Best of all NO HOA! This neighborhood is a hidden gem! Close to shopping, dining & highways. 3/2 single level waterfront property, two car garage, expansive lot, A + schools (K-12th), FULLY renovated, energy efficient, luxury contemporary upgrades throughout. Impact Windows/Doors, New Metal Roof, wood-plank water resistant flooring thru-out, NO-CARPET! Gorgeous white wood cabinetGÇÖs & granite counter-tops thru-out, island with bar seating, built in Pantry & SS appliances. Outdoor covered/screened-in living area facing waterfront, new baths w/double sinks, views of water thru out, easy commute, sidewalks, and more! 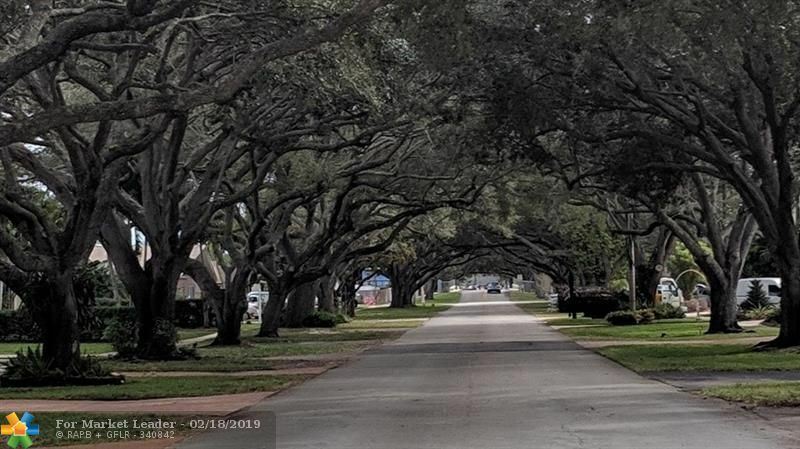 Live your best life in this Cooper City Single Family Home near A-rated schools. 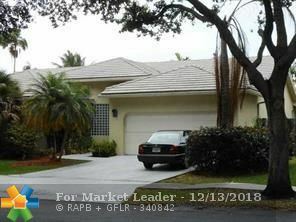 This pool home has 4 bedrooms: three bedrooms are located upstairs (plus a loft which can be used as an office) and 1 bedroom is located on the lower level. The Master bedroom has an en suite bathroom with jetted tub. Enjoy the Luxurious bamboo flooring throughout the upstairs, and laminate flooring in the main living areas. Sparkling 300 sq ft pool (resurfaced 2 years ago) is surrounded by Travertine offering the pleasure of outdoor living with easy upkeep. The yard is completely fenced and perfect for kids and pets. Two car garage has built-in cabinetry that makes staying organized a breeze. All openings have shutters or are impact, including reinforced garage door. You will LOVE this charming home. NICELY MAINTAINED 3BED/2.5BA PLUS LOFT & POOL IN DESIRABLE EMBASSY LAKES. A+ SCHOOLS. SPACIOUS & BRIGHT FLOOR PLAN WITH 2 STORY HIGH CEILINGS. OPEN KITCHEN HAS NEWER APPLIANCES. A/C IS ONE YEAR NEW. ALL BEDROOMS LOCATED ON 2ND FLOOR. LOFT HAS BUILT IN. NEW PLUMBING. MASTER BATH HAS DOUBLE VANITY & SEPARATE ROMAN TUB & SHOWER. OPEN POOL/PATIO AREA. 2 CAR GARAGE CONVERSION WITH LOTS OF CLOSET SPACE. CAN BE USED AS ADDITIONAL ROOM, OFFICE OR PLAYROOM. HURRICANE PANELS & ACCORDION SHUTTERS. NICELY LANDSCAPED THROUGHOUT. COMMUNITY FEATURES RESORT STYLE POOL, CLUBHOUSE, GYM, LIGHTED TENNIS COURTS, PLAYGROUND, BASKETBALL AND VOLLEYBALL COURTS, PLUS 3 GUARDED GATES. EASY ACCESS TO MAJOR HIGHWAYS, SCHOOLS, SHOPPING & DINING. COME LOOK THIS ONE OVER AND MAKE YOUR OFFER. Lovely Cooper City neighborhood! 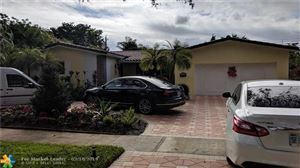 This 4 bedroom 2 bath pool home is on a beautiful, quiet, tree lined street. Impact Windows throughout! Granite countertops in Kitchen. Stainless Steel Appliances. Newer A/C, Water heater, washer/dryer as well. Roof is approx. 12 years old. House is in very good condition. Great Schools!! This home is a must see and won't last long!! Spacious Floor Plan Split bedroom model. Super location and wonderful Country Address! ALL COOPER SCHOOLS, walking to Pioneer! 5 Minute walk to Posnack JCC and schools! Estate, Clean and ready!! Spacious 4 bedroom three baths! Gorgeous Long Sparkling Lake view! See this one! Enjoy living in this Single Story Ranch-Style Home located on a quiet, tree-lined street backing up to Cooper Colony Golf Course. 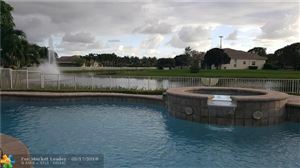 Back Yard features pool with lush, native landscaping and golf course view with no neighbors behind you. Plenty of room for kitchen island or open floor plan - you choose. Master Bedroom has Walk-In Closet and Cabana Bath. Impact windows in front of the home with storm panels in the back. Minutes from Shopping, Dining, Places of Worship, and EXCELLENT SCHOOLS!!!! Estate sale, shows extremely well. 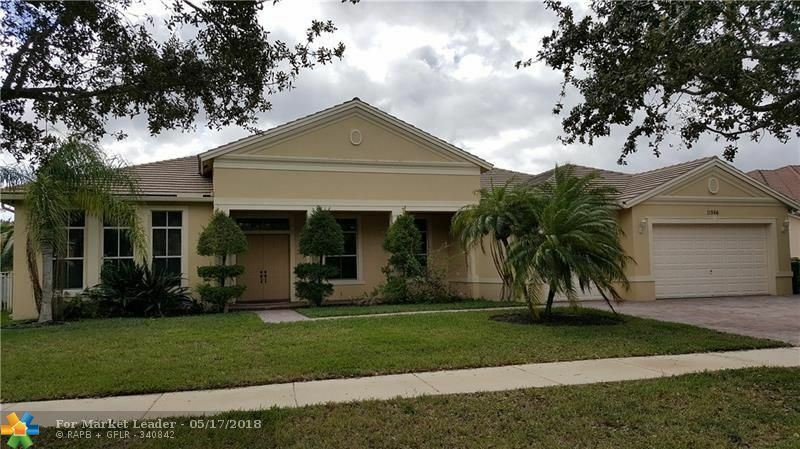 New roof in 2018, Pool diamond-brite, 2018, central a/c, 2013, vaulted ceilings, high hat lighting, lots of tile, newer kitchen with granite, stainless appliance package, black dishwasher, new water heater, and large florida room, with separate a/c unit. Third bedroom currently being used as den, easily converted back. Updated master bath, coy pond on patio, fully fenced for max privacy, ready to be sold.